As our trip approached I began reading more and more reviews that said the food wasn’t that good. We had a meal voucher and a beer tasting to use so we planned our meal strategically to use those up in one meal just in case we didn’t make our way back. We ordered the chowder and a salad. 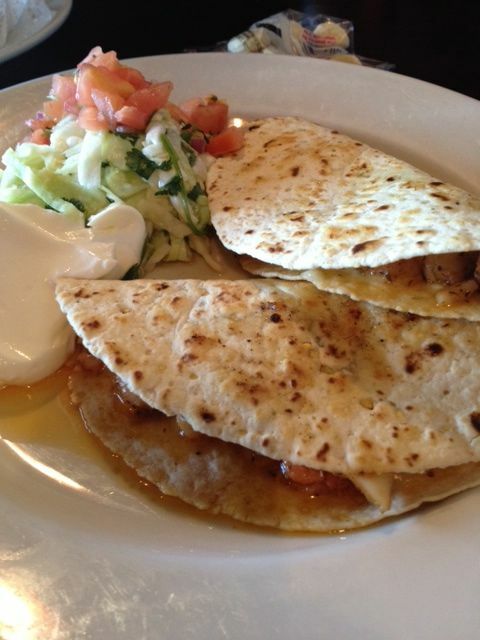 Since we still had a bit more on the voucher we ordered the Seafood Quesadilla for around $12. The chowder was really good and the house made salad dressing was super tasty. No complaints whatsoever. I was excited about the seafood quesadilla too. As I bit into it I was over taken by the huge amounts of rosemary. The description on the menu says “slightly spicy mix”. Rosemary is not spicy, nor is it a herb I really like. I tried it a second time, just to make sure. Now, I am pretty forgiving and will at least eat something if it’s not good, but this was just awful. I finally opened it up and scraped out some of the fish. Our server asked how everything was and we told her that the quesadilla wasn’t so good. She sent out a manager that wanted to buy us a beer. 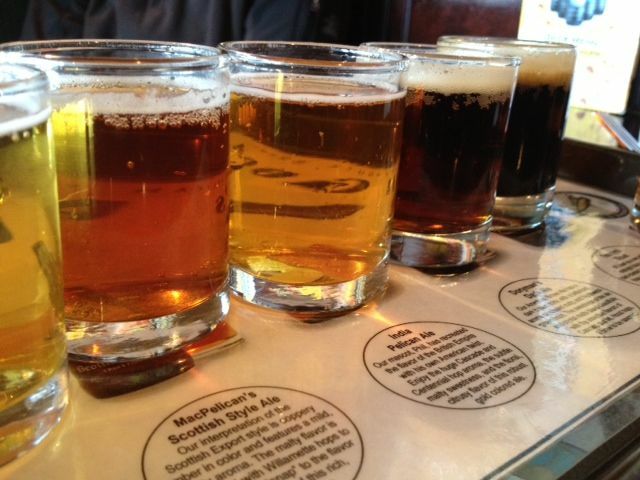 We were ready to go and had just finished the beer sampler, so we said thanks, but no thanks. We didn’t complain to get free food, we simply wanted to let them know it was pretty bad. 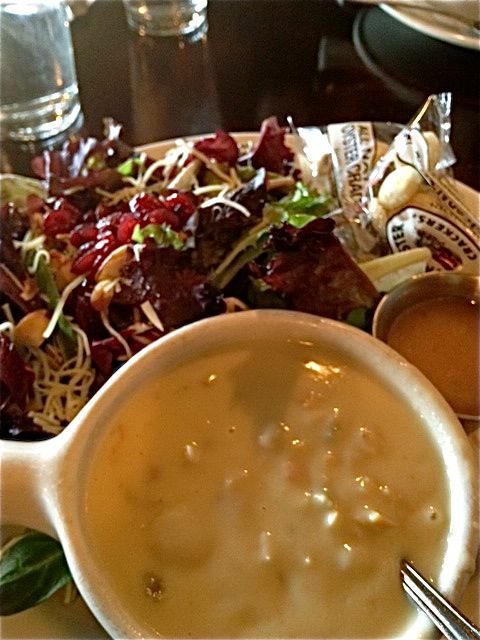 The soup and salad are pretty safe and we decided that we really didn’t want to spend money on anything else. It is a pretty spendy place. I mean our appetizer was $12 and entrees were more. Atmosphere is awesome. You are right on the beach, lots of people watching and it’s got huge windows. So even if you aren’t by a window you will have a good seat. Pricing is a bit on the high side for the quality of food. Service was great. Absolutely no complaints. They brew and serve their own beer and it’s pretty darn good. We brought home a few bottles ourselves. Try it again, the beer alone us worth it! Fish and Chips are always good, my personal favorite – fish tacos. We go 1-2 times a month and love it every time. Yes, it’s a little spendy but like you said the service is great and you can’t beat the location. Maybe some day. I am not a fan of Fish and Chips. I like food that will wow me. Something different and creative. I am too scared to try the fish tacos since the quesadilla was so bad. But the beer and chowder were sure good.